This raw sheep milk cheese is floral and grassy with nutty undertones. The addition of whole peppercorns to our San Andreas provides additional savory and earthy notes. 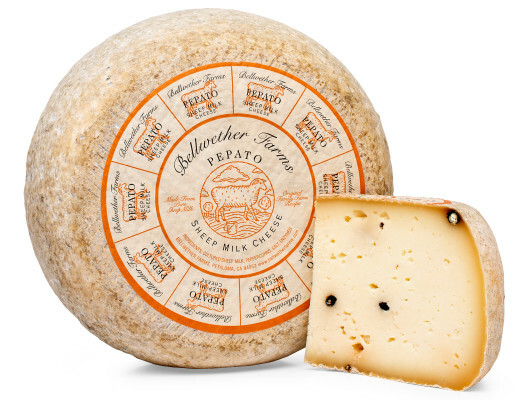 Our recipe was inspired by the aged sheep milk cheeses of Tuscany but has a smoother texture and less sharp or salty flavor. Spicy pork or fine cured meats; shave on salads and pasta.